Livingston Taylor's musical career has been marked by numerous highs and lows. The younger brother of folk-pop superstar James Taylor, Taylor has had a more modest career. His best-selling single, "I Will Be in Love with You," went no higher than the 30th position on the Billboard charts, while his last Top 40 single, "First Time Love," was released in 1980. Taylor's exuberant personality and warm charm as a performer allowed him to maintain a busy concert schedule for years. Taylor was the third of five children born to Dr. Isaac Taylor, a member of a prominent Southern family, and his wife, Trudy, a lyric soprano vocalist whose roots lay in the established families of New England. Although born in a suburb of Boston, Taylor was raised in Chapel Hill, North Carolina after his father accepted a position as dean of a medical school. As a youngster, Taylor experienced many emotional problems. While attending a private, Quaker-run high school in Westtown, Pennsylvania, he suffered from such severe depression that he hospitalized himself at McLean Psychiatric Hospital in Belmont, Massachusetts, where James had been hospitalized earlier. Much of his therapy centered around guitar playing and singing. Upon his release in the late-'60s, Taylor remained in the Boston area and began to perform in local clubs and coffeehouses. Discovered by critic/producer Jon Landau, who later managed Bruce Springsteen, Taylor was one of the first artists signed to Capricorn Records in 1970. His self-titled debut album, produced by Landau, included the original biographical song "Carolina Day," and established Taylor's intimate and laid-back musical approach. His second album, Liv, again produced by Landau, included the minor hit "Get Out of Bed." Taylor's relationship with Capricorn concluded with his third album, Over the Rainbow, in 1973. Despite the inclusion of an original tune, "Be My New Horizon," featuring backup vocals by James Taylor and Carly Simon, the album sold disappointingly. Taylor's next album, 3 Way Mirror, his first on Epic, wasn't released until five years later. In addition to featuring "I Will Be in Love with You," the album included a song, "Going Round One More Time," that was covered by his brother James on That's Why I'm Here in 1985. Taylor publicized the album's release as opening act for Linda Ronstadt's "Living in the USA" national tour. In 1979, Capricorn released Echoes, a greatest-hits sampling of songs from Taylor's first three albums. The following year, Taylor released his second and last album on the Epic label, Man's Best Friend. In addition to the minor hit "First Time Love," the album included a lighthearted ditty, "Pajamas," that was later adapted into a children's book by Taylor and his wife, Maggie. In addition to hosting a nationally syndicated television show, This Week's Music, Taylor began teaching performance arts at the Berklee College of Music in 1984. He didn't release a new album, however, until four years later when he recorded Life Is Good, the first of two albums produced by Artie Traum and Scott Petito. Taylor subsequently worked with Traum and Petito on his 1993 album, Our Turn to Dance, while his 1996 album, Bicycle, was produced by Petito. Taylor also released two albums -- Good Friends in 1993 and the R&B-flavored covers album Ink in 1997 -- for David Chesky's Chesky label. Unsolicited Material, released in 1994, captured the warm-hearted fun of Taylor's concerts and ranged from humorous tunes including Andy Breckman's "Railroad Bill" and "The Dollar Bill Song," a medley of "Songs That Should Never Be Played on the Banjo," and the originals "Jacques Cousteau" and "I Hate Country Music" to heartfelt renditions of Hoagy Carmichael's "Heart and Soul" and Earl Scruggs' "Earl's Breakdown." 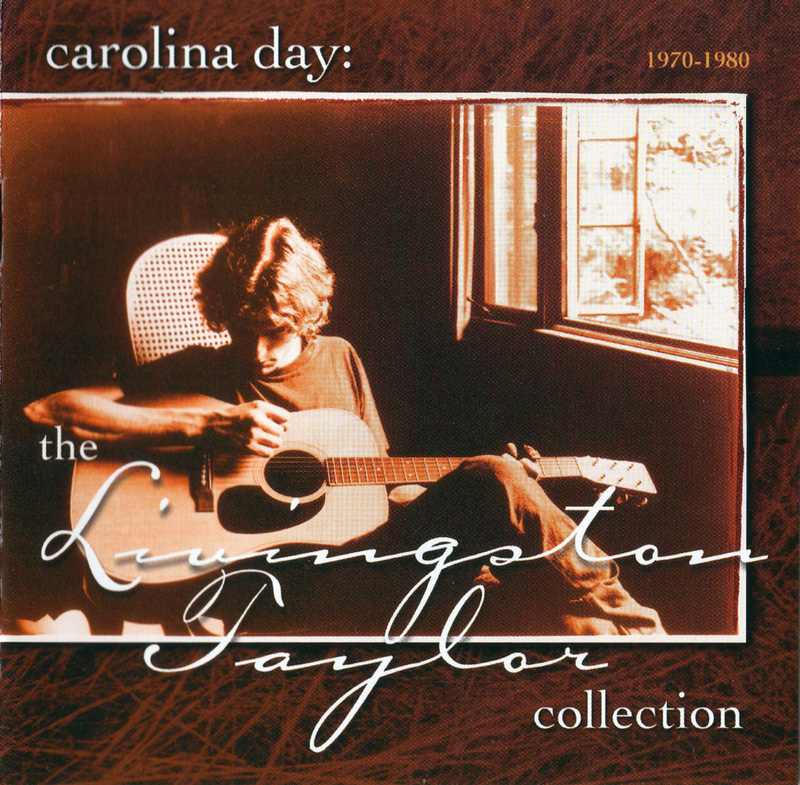 In 1998, Razor & Tie released Carolina Day: The Livingston Taylor Collection, an 18-track retrospective of Taylor's career. Taylor continued recording after the turn of the millennium, issuing There You Are Again in 2006 and the highly regarded Last Alaska Moon in 2010, both on the Chesky-affiliated Coconut Bay imprint. 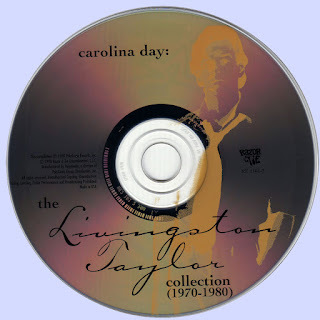 Carolina Day: Collection (1970-1980) is an excellent single-disc collection spotlighting the singer-songwriter's prime years -- the '70s. Drawing highlights from his albums for Capricorn and Epic, the collection hits almost all the high points, including the hit singles "I Will Be In Love with You," "I'll Come Running" and "First Time Love," hereby offering a fine summary of Livingston Taylor's best work.